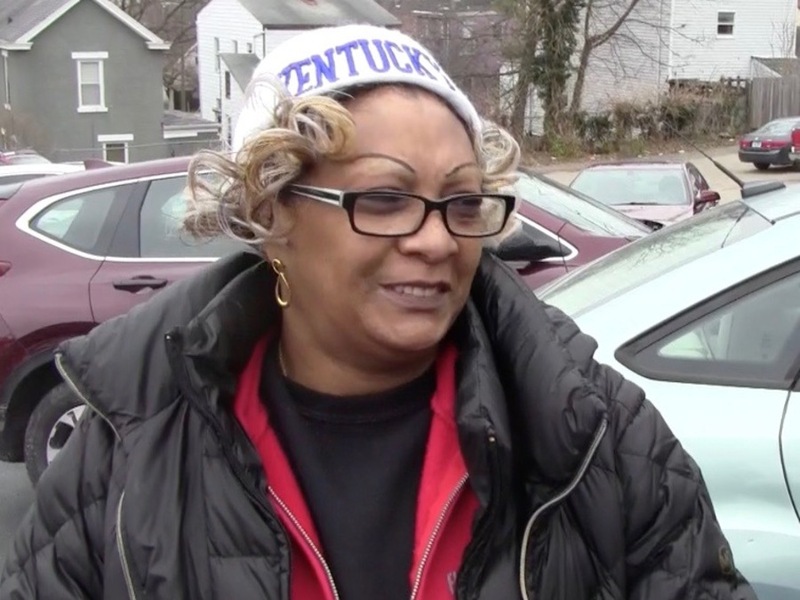 COVINGTON, Ky. -- As you enjoy your celebration with loved ones today, consider this: 900 Northern Kentucky families are having a good Christmas this year thanks to a scrappy nonprofit organization called Be Concerned. Located on Pike Street in Covington, Be Concerned is celebrating the 50th year of its Christmas Store where low-income families pay a small price to pick out gifts for themselves and their children. The Christmas Store has charged a small fee from the start to preserve the dignity of the families the organization serves, said Andy Brunsman, the executive director for Be Concerned, Inc. Families pay $3 per child to shop at the Christmas store and get to pick three new toys for children ages 14 and under. For that price, they also get scarves, gloves and socks, a gift for themselves and a small gift for their homes. The maximum fee is $15, Brunsman said. Families that don’t have $3 to spare aren’t turned away. 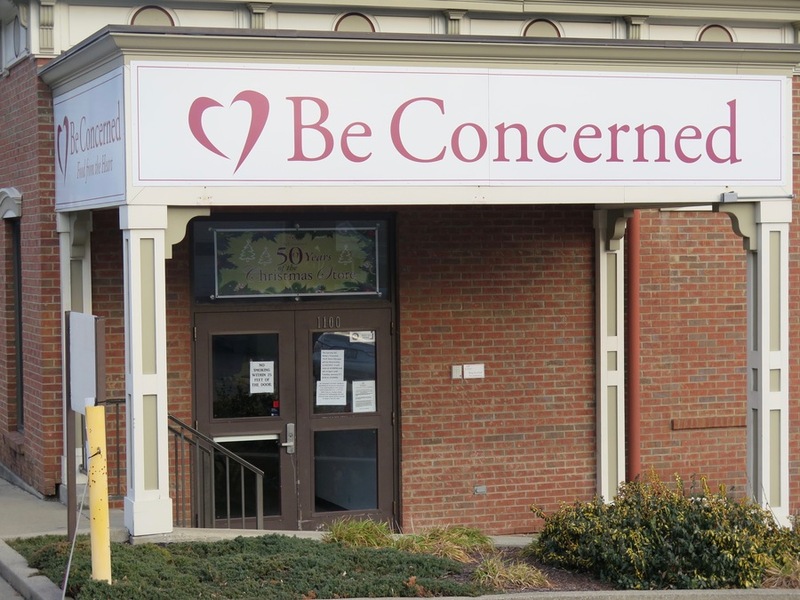 Be Concerned is located on Pike Street in Covington. Families also can get food for Christmas dinner at the organization's large pantry. Just like with the gifts, families get to choose what they want so that they don’t end up with canned goods or other food they won’t use. Janet Partee has been raising her 9-year-old grandson since he was nine months old, and she relies on Be Concerned for help. Partee spent years working factory jobs and then another 10 years working at a hotel banquet facility before she retired. She doesn’t get food stamps and relies on the food pantry at Be Concerned each month in addition to shopping at the Christmas Store each year. 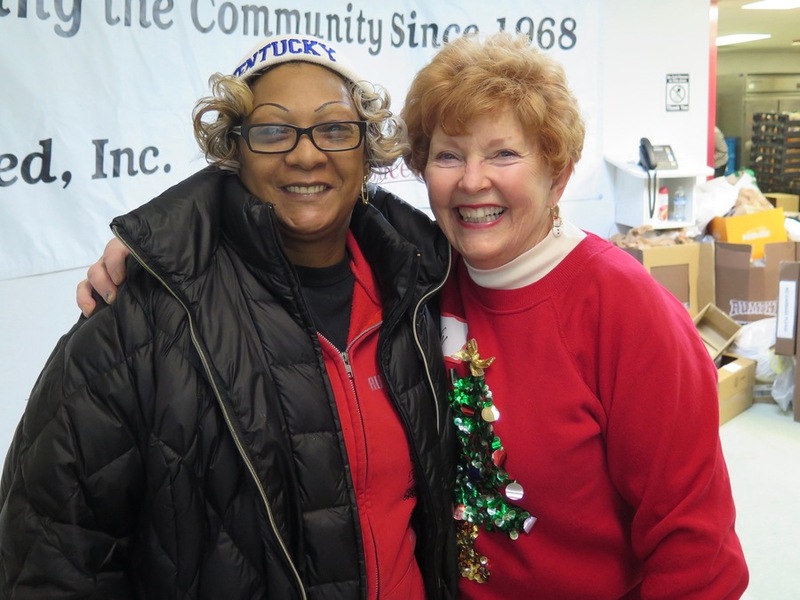 The morning I met Partee, she went through the food pantry first with Kathy Mueller, a Be Concerned volunteer. Mueller shopped alongside Partee, explaining how many items Partee could select in each aisle. There were plenty of options for food thanks to a major sponsorship from the Metropolitan Club -- canned goods, cereal, bread, baked goods, frozen meat, eggs and even some fresh fruit and vegetables. And thanks to a major sponsorship from Levi Strauss, families that visited the Be Concerned food pantry also got to select health and hygiene products, such as laundry detergent, shampoo and household cleaning supplies. 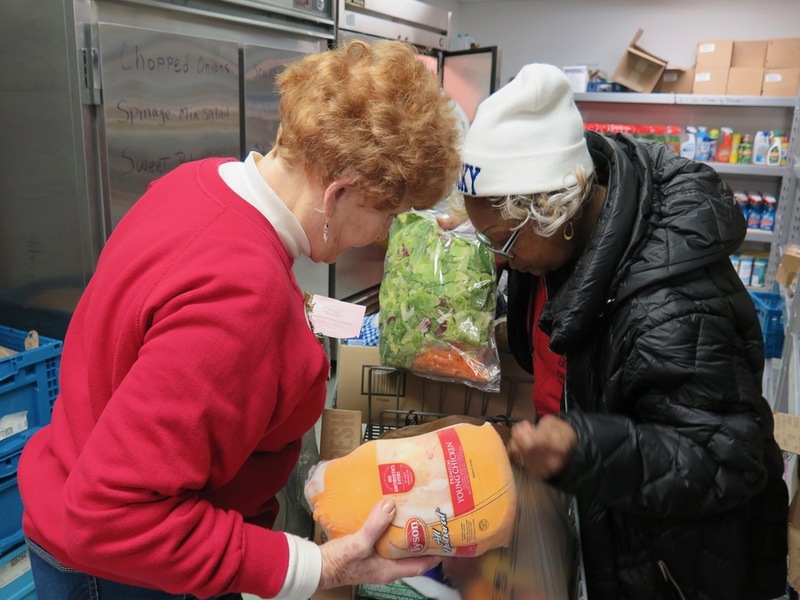 Kathy Mueller, left, helps Janet Partee rearrange her cart while shopping at the food pantry. After the food pantry, volunteers helped Partee load the groceries into her van before she went downstairs to visit the Christmas Store. The line moved a bit slower there, but the mood was cheerful. One mom who works third shift had interrupted her sleep for her appointment at the store. Volunteers made sure that people shopping for toys could go into the toy room one at a time to make their selections. When it was Partee’s turn, her excitement was almost palpable. She picked up toys and looked at them closely, trying to decide what her grandson would like best. She was allowed to choose toys and a game and a small extra or two. Janet Partee shops for toys at the Be Concerned Christmas Store. After the toy room, she picked out earmuffs, a scarf and socks for her grandson and a blender for herself. She had a chance to get something for her house and got something else for her grandson instead. But when it came time to select a piece of jewelry, she did pick out some earrings. When she was finished, two other volunteers helped carry her bags to her van and load them next to the food. 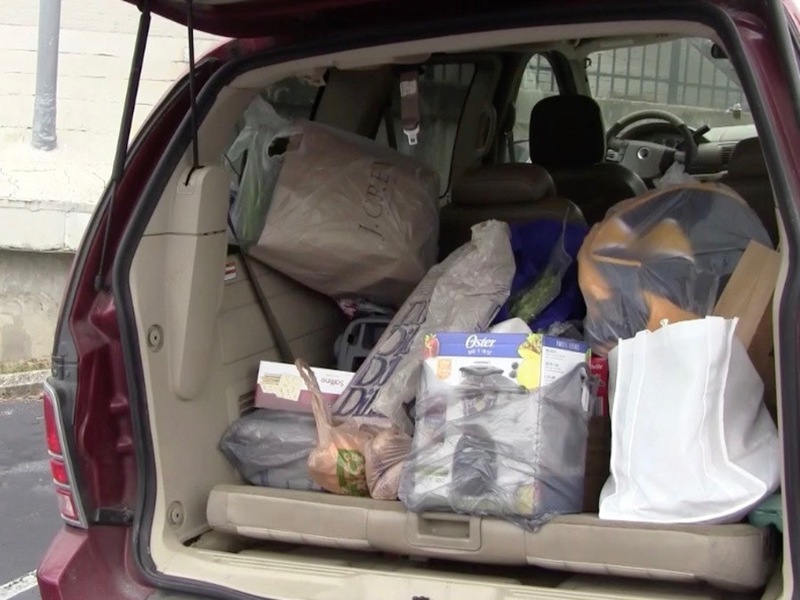 The back of Janet Partee's van was loaded with food and packages by the time she was ready to leave Be Concerned. Her grandson will appreciate everything he gets, she said. It’s the kind of person Partee is, too. At every station where she picked out gifts, she thanked the volunteers that helped her. Brunsman told me it’s hard to put into words the relief on the faces of the moms and dads and guardians who visit the Christmas Store to get gifts for their children. Janet Partee left Be Concerned with a loaded up van and a happy heart. The way Brunsman sees it, every kid that celebrates Christmas should have the experience that his little daughter will have this year. “The joy of children on Christmas morning waking up to a visit from Santa is something that everybody should experience, no matter what your socio-economic status is or your income or your parents’ job status,” he said. Be Concerned has been working for 50 years to make sure that happens for Northern Kentucky kids -- and the adults who love them. 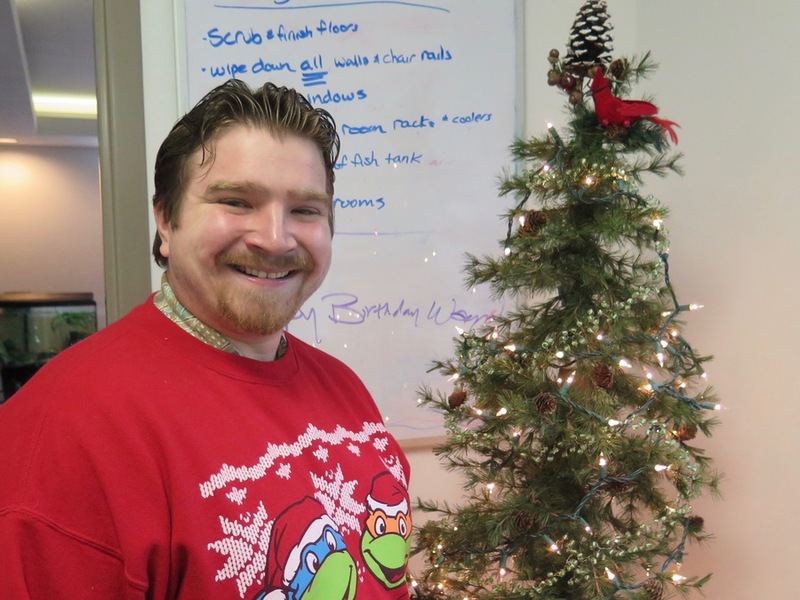 And that gives adults like Partee the opportunity to share that hope with the kids in their lives in the form of some special surprises under the tree. You can find more information online about Be Concerned and how to donate .